In the daytime she was a film star but her hobby afterwards was inventing. First she told Howard Hughes how to change the shape of his aeroplane wings to increase velocity. Then, with film composer George Antheil, she patented a frequency-hopping system for guiding radio-controlled torpedoes in the second world war to resist enemy jamming. The Navy didn’t take it up though until much later but by then she had let the patent lapse in 1959, thereby losing potential millions or billions — an invention that was the blueprint for Bluetooth, WiFi, GPS and more. The new film / documentary ‘Bombshell’ is now out on release in this country. It’s told by filmmaker Alexandra Dean, who raids the archives, the scrapbooks, the photo albums and the cast of family survivors and of course the films. Hedy was fabulously beautiful – in her film career she is best-known role for playing Delilah of DeMille’s Samson and Delilah (1949) with Victor Mature. These were TWO Film Stars who knew how to pack a punch at the Box Office – and this film was a colossal hit. This film is highly recommended. 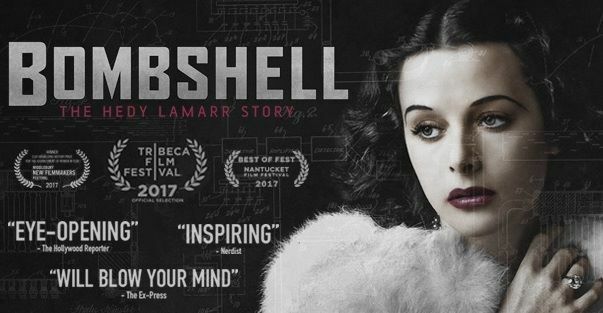 It’s very well done, with lots of interesting film clips, interviews, and insight into Hedy Lamarr’s life and times. 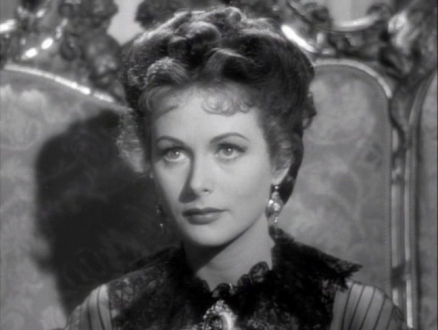 She may, to a large extent, be almost forgotten as a Hollywood beauty, and the value of her contribution to modern technology is – or was – even less known - but maybe this film will put that right. However after this film – and the publicity it has had in the British Press – I think her career will now be much better known – Film Star and Inventor – quite a combination.